Rogue Trader Space Pirates Ahoy! 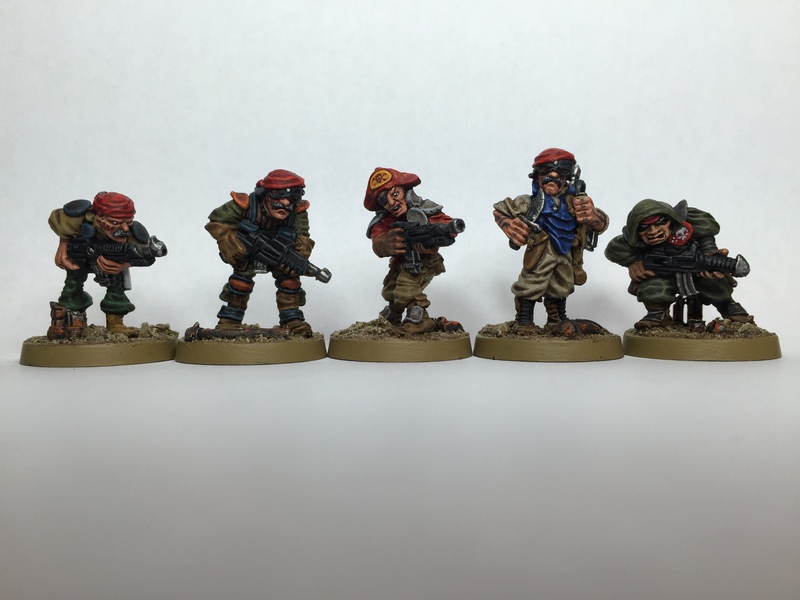 These guys were a total joy to paint – a very different experience to tackling the ultra-crisp detail of modern kits. Big hands, big heads, big feet were the norm, and funny hunched over poses were perfectly acceptable. But hey! This was 1988 baby, and Rogue Trader had only just been released the year before – much more roleplay-esque, but this was the birth of 40k as we know it! Thatch was still in power, (as was Reagan), the Liberal Democrats formed as a political party in the UK, and Mikhail Gorbachev initiated perestroika in the Soviet Union. It was the first Red Nose day, and Comic Relief was started up by Rowan Atkinson. Iain Banks (RIP) published the excellent ‘The Player of Games’, and Stephen Hawkings published ‘A Brief History of Time’. Rupert Grint (aka Ron Weasley) was born, and movie releases included Rain Man, Big, Beetlejuice, A Fish Called Wanda, Coming to America, Bloodsport and Akira! House music was making a splash in Europe, (as was Enya), and NWA and Run DMC had classic albums ‘Straight outta Compton’ and ‘Tougher than Leather’ released. Will Smith was still the Fresh Prince, (along with DJ Jazzy Jeff), new cars were ‘F Reg’, I was 13, and moustaches were acceptable… Basically, it was a bloody long time ago chaps! Was the hobby any better back then? I don’t know about that, but the models certainly had a character and charm that seems to be lacking these days… RT was new and exciting, there was no such thing as an army list or codex, and we were all free to explore the grim darkness of the far future in a way that just doesn’t seem possible in the modern game. Happy days. Nice work as usual, (especially the knuckles!) there’s certainly a classic charm to those pirates. How big are they? Without anything to compare them against they look pretty small, almost like ratlings. I’m never sure about the old-hammer/was the game better back then/is it just nostalgia debate (partly because when these models were released I was 4 – I didn’t really become aware of Warhammer et al until the mid-90s, and didn’t really get involved myself until well into the 2000’s. I do know what you mean about the freedom to explore the 40k universe but honestly I’m not sure this is really a big deal, even now with the wealth of background that is available. For me the galaxy is a big enough place that whatever ideas you may have, there’s room for them to exist somewhere. It’s part of the reason I find 40k more compelling than Warhammer, with the latter I feel like the spaces on the map have all been filled in (at least in terms of the established races) and – ironically – there’s less room for a ‘here be dragons’ element. Thanks mate, glad you like – I’ll do a few comparison shots to give you the scale, but they are basically guard sized (when you account for the hunched poses on some of them). Whay! I’m so glad to see some paint on these characterful little fellas! In terms of playing an oldhammer style game, Necromunda is where it’s at ;) not strictly oldhammer I suppose, but certainly captures the spirit of it.